Well, it’s taken till now to get round to writing it for a few reasons; one of them being that we needed to take a few ‘walking around Paspatur’ photographs. We finally did that about a fortnight ago, so what the excuse is now, as to why we’re only just doing this post, we’re not entirely sure. There’s loads we want to write. Maybe that’s the main reason. There is going to be much more than one post on Paspatur. There’s a saying in Fethiye that once you taste the water of Paspatur, the place will be in your heart and you will always want to return to Fethiye, wherever you may be. Well, the first time we came to Fethiye on our holidays, we spent a lot of time in this area and certainly drank a lot of liquid here, albeit of the alcoholic variety, in the form of the great Turkish beer, Efes Pilsen. We’ve been Paspatur addicts ever since. Is that because of the ‘water’ or just because the old town is just a great, chilled place to be? This is an out and out plug for this beautiful corner of Fethiye because, for a few reasons, we think, it often gets overlooked. Wherever you go in the world, if there is an ‘old town’ you will see signposts galore pointing you in the right direction. Well, burası Fethiye (this is Fethiye) and you will not see a single sign anywhere. A lot of our friends who come to Turkey to visit us stay in other resorts and when they come to Fethiye, they say they would never have found Paspatur, or even known that it existed if we hadn’t walked with them from the dolmuş station. When we do take them there, they soon love it as much as we do. Maybe another reason is that the Tuesday market in Fethiye has become such a big attraction. Coachloads of people are continually brought to Fethiye from nearby resorts such as Hisarönü or Öludeniz and from further afield – the likes of Kaş and Kalkan – but these people are here for the market only and rarely stray any further than that. It’s a postive and a negative at the same time and that’s the nature of organised tourism – you are taken where the travel company wants to take you. It’s a shame that so many people miss out on seeing Paspatur. If you read Turkey’s For Life a lot, you will know that we are huge supporters of markets. However, the first two times we came to Fethiye on holiday, we never ventured anywhere near the markets and didn’t even entertain the idea. The main reason? 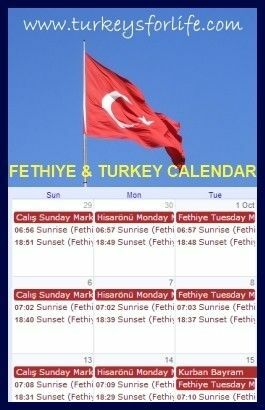 We were in Fethiye in the height of summer. Why on earth would we want to walk around a huge, hot market when we could be sat by the pool or enjoying the cooling shade of Paspatur – okay then – and an ice-cold Efes. Also, we do go to the markets for our fruit and veg and in this weather, we have been known to get tetchy with each other – we’ve all been there! So, if you’re ever in Fethiye in the height of summer and you can’t face the market, you’ll get everything you need in Paspatur and you’ll be in welcome shade, away from the crowds. There are loads of bars, restaurants, cafes and snack bars in Paspatur too…but that’s another day of photograph taking and another post. If you are unsure of how to get to Paspatur, Deep Blue Bar is marked on our Google Map of Fethiye. As the bar is located in the Paspatur area, you will be able to get directions from here. Hope everything goes well with your purchase Emma. Paspatur is just lovely isn’t it? I have been following your blog for years and really enjoy the information you provide on restaurants and local beauty spots. We travel to Fethiye around 3-4 times a year and thoroughly enjoy every aspect of our visits. How do we find paspatur please? We are staying in olu Deniz and coming to Fethiye either by Taxi or dolmus and really want to visit this area. Thank you.